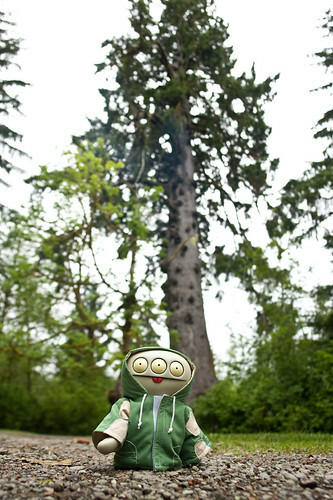 Uglyworld #564 - Cinko Loves The Huge Cedar Tree, originally uploaded by www.bazpics.com. While Ralf was running around the trunk of the huge Cedar tree Cinko was moving further and further back from it to see how far he would need to back up in order to be able to see the whole tree. He soon discovered that it took walking back quite some distance to check out the world's largest Cedar tree in all it's glory!